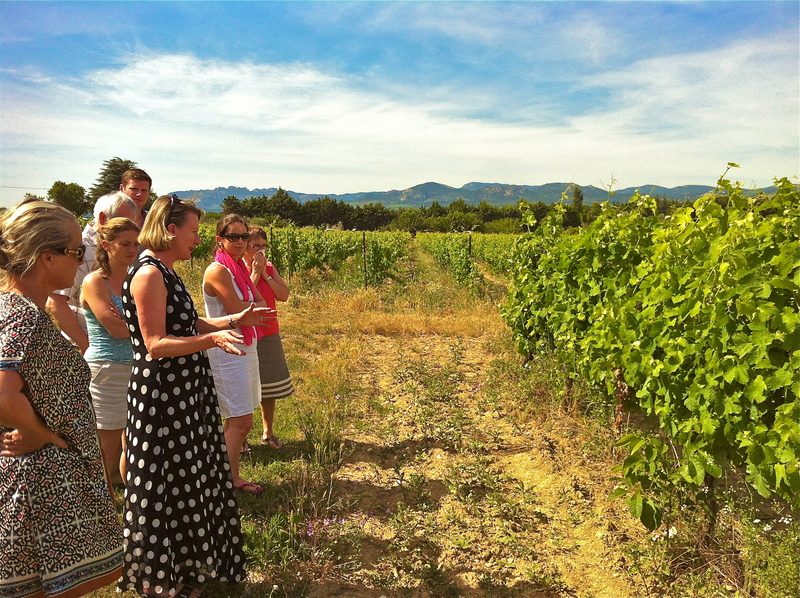 Going to a market in Provence is a must as there is just so much to see and Provence has so much to offer with herbs, flowers, fruit, vegetable and handicrafts. We went to the market in L’Isle-sur-la-Sorgue on Sunday and it was packed with both people and stands. 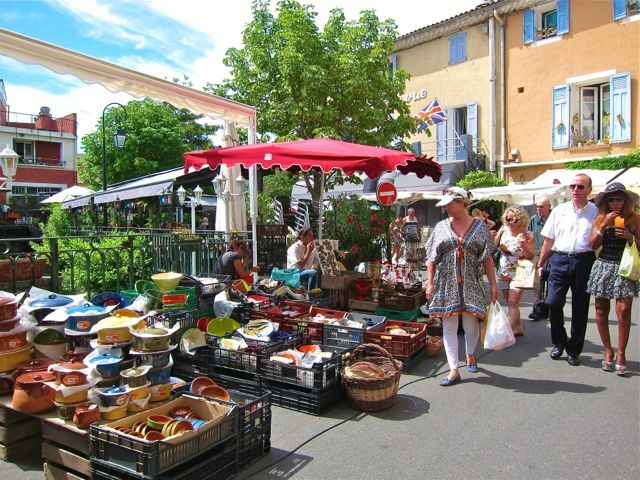 L’Isle is also an amazing town for antiques, not just on Sundays at the market but all year round with many, many antique stores. I’m sure much of what ends up decorating the newly purchased homes of expats comes from here. 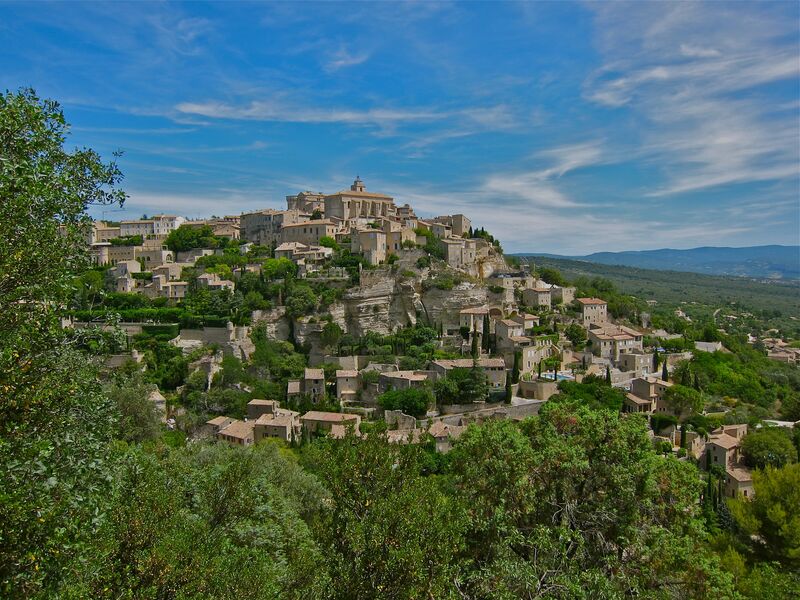 If you go, make sure you also visit Fountaine-de-Vaucluse, which is at the base of the mountain where the Surge river begins. Very cute town with the river running through it, and a great place to have lunch, especially if its hot out. Route de Fountaine, which takes you from Sorgue to Fountaine, is a beautiful drive, lined with tall, shading Sycamore trees.